So I learned this trick several years by accident, but wanted to share it with you just in case you may want to give it a try. 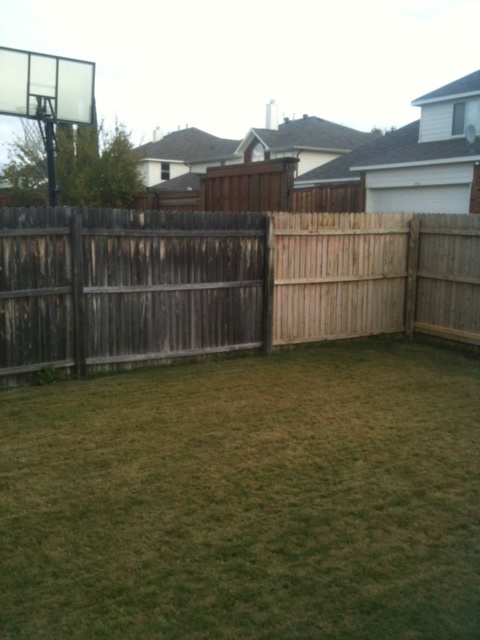 I do have to put out a disclaimer though because I have no idea if this is good for your fence or not. One day I noticed I had this moss looking stuff growing on my fence. I wasn’t sure what to do about it, but I figured if I put some bleach on it, that it would kill the moss, which I figured was basically a fungus growing on the fence that would soon destroy the fence before its time. 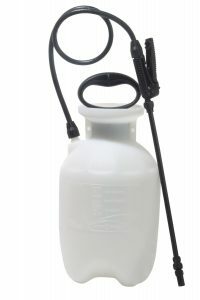 I bought a bottle of bleach and a pump pressure sprayer (like this one here). I then started spraying the moss looking stuff, and to my amazement, right before my eyes the moss disappeared, the fence changed color, and transformed before my eyes. The fence started to look brand new. I couldn’t believe it. The thing is, I couldn’t simply start after killing off the moss, because now the fence looked brand new in that one spot. So I went out and bought more bleach and had a great time watching the fence change from old ugly fence into old newer looking fence.